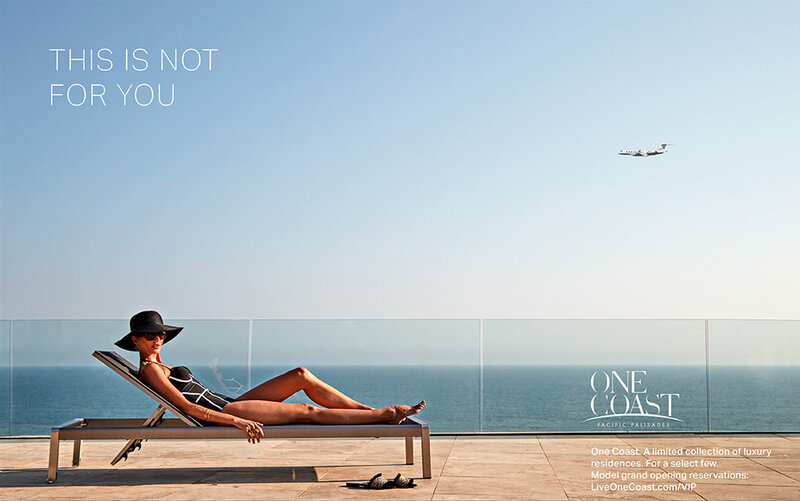 One Coast, luxury residences overlooking the Pacific on PCH in The Palisades is a truly unique opportunity—for a very elite buyer. The standard real estate advertising will not work. To get noticed you need to meet the buyer on their level. Nothing creates demand more than telling someone who is used to having it all they can’t have it. Show them what others are already enjoying. Be limited and limitless. The campaign we created for One Coast arrested viewers and readers, driving more traffic in the first three months than the previous year. Now, that’s what it means to be desired.